UN day - We All Matter, Eh?  The United Nations’ (UN) International Day of Persons with Disabilities (IDPwD) is annually observed on 3rd December. Observance of the day aims to promote an understanding of disability issues and mobilise support for the dignity, rights and well-being of persons with disabilities. It also seeks to increase awareness of gains to be derived from the integration of persons with disabilities in every aspect of political, social, economic and cultural life within our communities across the world. Organisations and Business – IDPwD can become a spark for employers to take actions that create a ripple out into the months and years ahead. You can also sponsor, support or celebrate through community events, create an event for your employees or network. You could lend your voice through social media, articles, letters to the editor, blogs and newsletters to IDPwD and raising awareness about disability issues. There is no limit. Communities – Community involvement is an excellent way to build awareness of IDPwD. Organisations, business’ or local government can champion, support or organise a community activity which builds inclusive participation, highlights achievements of people with disability and signal a welcoming community for people with disability. Schools – it’s a great opportunity to break down barriers with young people whilst building awareness and understanding of people with disability. IDPwD celebrates inclusiveness and can be adapted to many school activities, whilst also being integrated with curriculums and community outreach activities.